Just as people point to Jaws as the first blockbuster film, their addled children might someday remember Avengers: Age Of Ultron as the first blockbuster preview. Deadline reports that the teaser trailer scored 34.3 million views globally in its first 24 hours online, handily beating the previous record of Marvel’s Iron Man 3 trailer by 20 million views. Originally set to premiere during the Tuesday, Oct. 28 airing of Marvel’s Agents Of S.H.I.E.L.D., the trailer leaked online Wednesday, Oct. 22 and quickly went viral. After throwing their hands up in the air and saying, “Screw it—we’re still rich,” Marvel executives decided to post an HD version of the trailer on the company’s YouTube channel, which snagged more than 26.7 million of the total views that day. And what a trailer it is. 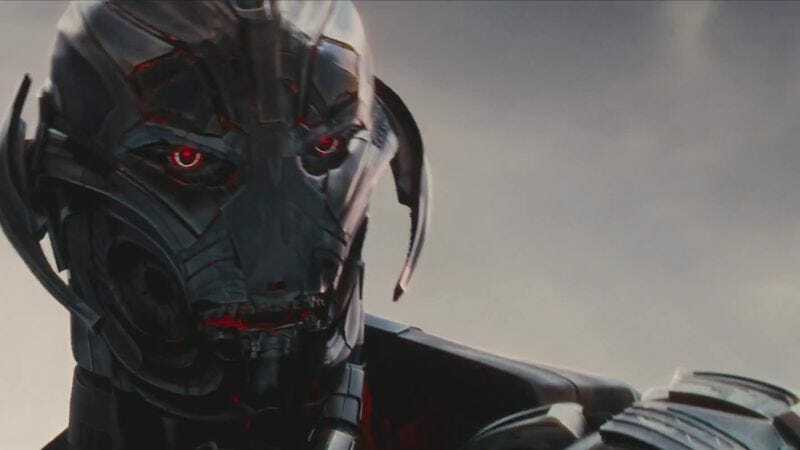 From the opening shots presenting James Spader’s Ultron as a terrifying ersatz Pinocchio musing about puppet strings, to Tony Stark’s Hulkbuster armor taking on Bruce Banner’s alter ego in a very public place, to that curious glance at ballerinas en-pointe to remind us that some shots in this movie might sneak by without any visual effects, this trailer unequivocally shows that, yes, many things will happen in the film, at many different times. Marvel now says that instead of the now-vintage trailer, it will premiere new Age Of Ultron footage on Tuesday’s Agents Of S.H.I.E.L.D. And yet another sneak peak of the movie is scheduled to air on Nov. 9 during Marvel 75 Years: From Pulp To Pop! on ABC. If there’s anything left to discover, the movie itself will be released on May 1, 2015.